Such an idealistic quest was part of the American Genteel Tradition. The ultimate goal was to become financially successful, to fit into society, and to enjoy such luxuries as owning summer homes, hiring cooks and servants, and traveling world-wide to exotic painting locales. No longer a romantic, eccentric recluse, the successful American artist was invariably a well-groomed, business-minded cosmopolitan who knew how to market his “product” and to promote himself (or in some cases, herself) through networking in organizations and exhibitions. 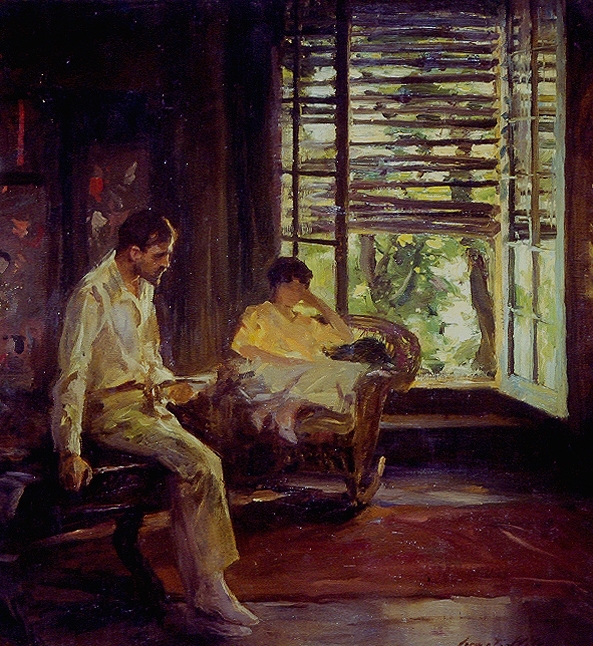 The artist’s good life was associated with pre-World War I America, an age that did not experience the shock of modernism, Sigmund Freud, “women’s liberation,” new technologies, urban expansion and the accompanying threats of poverty and moral corruption (frequently associated with “hordes” of immigrants), and the new accelerated pace of life. America was still progressive, high-minded, self righteous, and supremely confident in her position in the world, as Manifest Destiny had apparently been fulfilled: 1890 marks the final battle with the Great Plains tribes. Optimism, confidence, religious fervor, moral rectitude, a steadfast belief in positivism, a strong work ethic, and a love of cleanliness and a well-ordered life characterized America’s Gilded Age when American impressionists flourished. What was essentially a new aesthetic of bohemian rebels (whose milieu was far from genteel), French impressionism had to be transformed by American painters, since it faced moral and theoretical opposition. French impressionism was made more rugged, thereby more American. Generally speaking, American impressionists tended not to dissolve solid forms, as their French predecessors had: bright light in American impressionist pictures tends to reveal form in space. Many American painters used the system of uniform brushstrokes of broken color in a less systematic, more casual manner. In addition, they set a more conservative palette, avoiding what were regarded as “garish” tones. As for subject matter, the American impressionists focused on the more genteel views of modern life, which did not include rowdy barroom scenes, low-life dance halls, or gatherings of disreputable types, as we see in some of Degas’ images, for example. Weinberg, Bolger, and Curry (1994, p. 25) highlight how American impressionists “did not imitate motifs their mentors might have found in France; rather they chose subjects charged with a native spirit.” Their paintings of the urban scene were “genteel, familiar, sunny subjects. . . .” Returning to Boyle’s quote, “a way of life in a special world for the successful artist” — a “special world” implies an elite. Like Monet and Renoir, the American impressionists painted fashionable society — a selected slice of modern life that appealed to them and to their patrons. Theirs was an ideal world in which a holiday mood, leisure-oriented scenes, and William Dean Howells’s “more smiling aspects of life” constituted the only sanctioned scenario. Women in oriental robes at their dressing tables, quietly reading in sun-filled rooms, or posing out-of-doors in strikingly elegant white summer dresses, holding their ever-present parasols, refined families strolling through Central Park, especially well behaved children schooling horses, and other scenes of leisure define the privileged world of the artist during the impressionist decades. 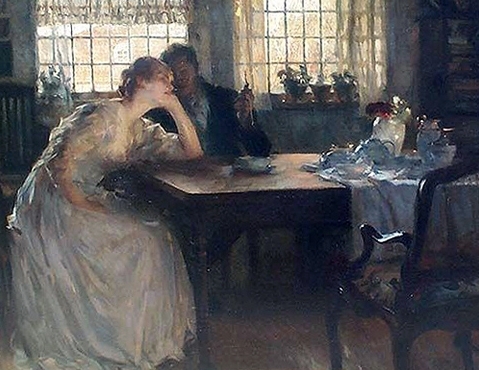 The American artist, once successful, achieved the good life that he or she depicted on canvas. The typical impressionist painter did, in fact, own a summer home, could afford servants, belonged to exclusive clubs, and traveled abroad extensively.